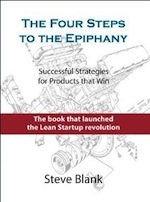 This is post II of how I came to write “The Secret History of Silicon Valley“. Think of a plane the length of a 767 airliner (but with 30 foot longer wings and 8 engines rather than 2) whose only mission was to FedEx 70,000 pounds of nuclear weapons to the Soviet Union. The B-52s had to get through a massive Soviet air defense system that had been built and evolved over two decades and was designed to shoot down manned bombers. Not only did Soviet Air Defense have the same SA-2 missiles the North Vietnamese had (since they had given it to them), but the Soviet air defense environment was much denser with a layered defensive system of radars, Surface to Air Missiles (old SA-1’s and newer SA-3s, SA-5s) and a huge manned 1000+ plane fighter interceptor fleet. In fact, the Soviet Air Defense Forces, PVO Strany, was so important in the defense of the Motherland it was a separate branch of their military. And just to make the problem harder, the North Vietnamese had shot down B-52s in December 1972 and given the Soviets the captured electronic countermeasures equipment. Even though the bombers we lost over North Vietnam were older versions, called B-52 D-models, many of the systems were the same. Now the Soviets had first hand knowledge of how their air defense systems would work against the nuclear armed B-52G and H models in an operational environment. While I never got tired of looking at the planes, one my fondest memories of this base was driving down U.S. 23 to Ann Arbor when the leaves turned in the fall. Late September to mid-October the riot of the colors was so intense I pulled the car off to the side of the road to just stare for awhile. Each week as I would head down south, I could track the progress of the trees putting on their electric reds and yellows fall colors as they also headed south. I’d spend a weekend in a college town, without a uniform, in a world as far away from nuclear weapons and the Strategic Air Command in politics and culture as you could get. While it seemed a bit incongruous, it was fun listening to my friends in graduate school over dinner worrying about grades and jobs. Then I would return back north to the much drabber green palette of bombers and uniforms and continue to defend democracy. I had plenty of time in those three hour drives to ponder the value of universal National Service. The largest payload next to the nuclear weapons on B-52s was the electronic warfare equipment, which was to designed to help the bomber jam its way through the radar environment in the Soviet Union. The bombers had wideband panoramic receivers and displays, chaff, and kilowatts of jammers up and down the frequency band. One of the six crew members was solely dedicated to get the plane to the target through the gauntlet of the Soviet air defense system: the EWO or Electronic Warfare Officer. When I first got to this B-52 base, I started asking: “What are we working on?” Again, just like in Thailand, the answer was, “Just fix the damn boxes.” I’d always be the one in the shop going, well, “Why? What are we jamming, how many Soviet radar types are there what does each one of them they do, how do we know about them, how did someone know to build these jammers to these specifications, how do these bombers penetrate Soviet airspace, how, when and where did the EWO use his equipment?” People used to just look at me: why are you asking these questions? But I was now running the part of the electronic warfare shop that repaired the receivers and could get some of my questions answered. The receiver I worked on, the ALR-20, when turned off looked like nothing more than a big orange TV display. But it was the main display for the EWO on the B-52 for situational awareness. When it was on, he could see every signal from one end of the electromagnetic spectrum to the other and for a long way out around the aircraft. Think of the most amazing spectrum analyzer you could build with 1960s technology. Then think some more. In time of war, the B-52’s would be piloted into Soviet territory at 500mph at 500 feet above the ground (by eyeball and by using some pretty sophisticated low-light TV and infrared cameras.) Sitting behind the pilots, the EWO was also steering the plane, but he was taking it through the hostile electromagnetic spectrum. He was constantly looking at the multiple lines on the ALR-20 display and could see the Soviet radar order of battle: ground to air communications, what radars were around (search, acquisition, tracking, etc. ), were they about to get locked on the bomber and whether they were going to get a SAM up their rear or was it going to be an air-to-air missile from a fighter. And because of his training, an EWO could identify and prioritize the threats. The signals displayed by the ALR-20 were used to control the jammers of the rest of electronic countermeasures systems – putting out enormous number of kilowatts using brute force noise jamming and later on some much more sophisticated jamming techniques. All of this designed to make the plane if not invisible to Soviet radar, at least really difficult to lock onto and shoot down. Just to rank how difficult it was to protect a B-52 in a dense defensive radar environment, our current B-2 stealth bomber has a radar signature of about an aluminum marble, while the B-52 designed in 1950 has the radar signature of a 170-foot sphere. It was like trying to fly a whale through a fish tank and not get noticed. Peace Is Our Profession – Is It a Drill? 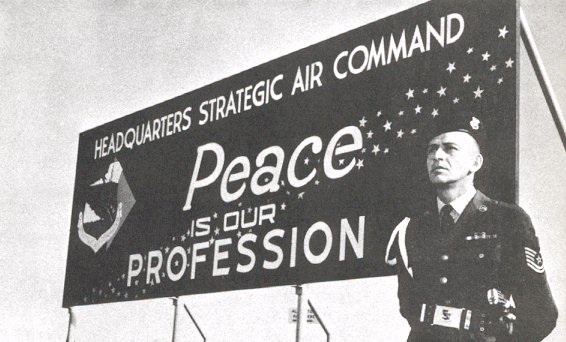 In front of the entrance to every Strategic Air Command air base was a sign that said, “Peace is our Profession.” No joke. Really. Yet every time I came back to base, I kept thinking about whether this was the day for the alert drills. 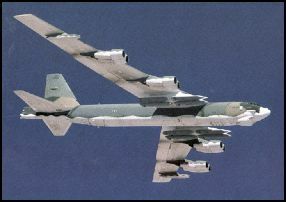 At this time in the cold war, several B-52s at every Strategic Air Command base were on ground alert – they were loaded with nuclear weapons, had their orders and targets and were cocked and ready to take off to execute their mission – to destroy some part of the Soviet Union with large nuclear weapons. All as an integral part of the Strategic Integrated Operating Plan – our war-fighting plan to destroy the Soviet Union. When the alert sirens sounded, the bomber crews and the ground crews raced for their planes and they and their KC-135 refueling tankers would take off − hoping to miss the incoming Soviet ICBMs and SLBMs intended to destroy the bombers, the base and a good chunk of Michigan. The problem for the rest of us on the base was that when the alert sirens went off, you did not know it was a drill. I would always look at my watch and count down 10 minutes to see if we would be vaporized by a submarine-launched attack, and then hold my breath for another 15 minutes to see if there were ICBMs coming across the pole to take us out. I wondered if I would actually see the flash or feel anything. At these times, you never forgot that peace was the last profession we were in. When these bombers got their first modern Electronic Countermeasures suite (the ALQ-117 with automatic wide-band receivers and jammers), I got sent back to school for three months (to scenic Biloxi Mississippi again) to learn how to repair it. This equipment was modern in the sense that it used integrated circuits rather than transistors, and it responded to threats “automagically” rather than requiring the EWO to do something. Learning about integrated circuits in the mid 1970s was fun as it meant learning a whole new language of digital versus analog computing and learning how to use a logic analyzer instead of just an oscilloscope. Little did I know that these integrated circuits were coming from a place I would one day call home, and I’d be working at the companies who were designing them. But once again, learning about the new electronic warfare equipment meant learning more about the Soviet threat environment and what we knew about the latest Soviet radar order of battle. So now with a bit more “need to know” and a lot more “I want to know,” I started reading all the technical manuals I could get my hands on. One of the wonderful things about a classified location is once you are inside, you have access to everything and can read anything − and I did. I not only knew about my equipment but everyone else’s in the shop. And I began to understand a bit about the Soviet radar order of battle at the height of the cold war from reverse engineering what our jammers were designed to counter and what frequencies our receivers were looking at and how the EWOs were trained to use our equipment. I was always kind of curious. I was always curious about, and asking about, the big picture. Part III of the Secret History of Silicon Valley continues here. The last picture – that’s you? In the Air Force? That’s quite the wig they let you guys get away with. Great war stories, Steve. Thanks! Wondering if, in the years since the Cold War has ended, you ever had a chance to meet one of your Soviet counterparts. Ever talk to someone from the other side who had similar stories of struggling to track and shoot down that 170-ft signature sphere? 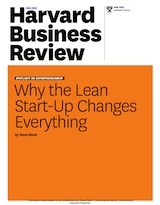 Sure the rest of the stories diverge though… can’t really imagine a Soviet counterpart to the Customer Development method. About halfway through this post I found myself surprised at how beautifully written it is. Congratulations. I sort of made the reverse journey — grew up in Ann Arbor in the 40s and 50s, joined the Air Force, and spent the 60s and 70s as a B-52 Electronic Warfare Officer. Retired in 1983 with 7500 hours in the B-52, 207 combat missions over Viet Nam (including Arc Light One) between 1965 and 1970. I also was a ECM troop in the early 80’s. I remeber when the first G model came to Carswell to replace the D’s we had. Someone showed us how to turn on the ALQ-117 and supposebly it nuked the SP’s radar gun as he was checking flightline maintenance trucks for speeding. Thanks for the memories….I was an instructor at Keeslers 3390th in the mid to late sixties in the EW maintenance & trainer courses, never got to the real USAF as I was “drafted” for instructor duty after graduating BED/EW maintenance. I can still recall specifics from the tech manuals on the ALR-20/ ALR-19 ,ALT-15/16, ALR- 25/26 ,ALT-13/ ALT-6B as well as the QRC jamming pods. That info was so burned into my 23 year old brain I could NEVER forget it as much as I tried…..a shame I had a T prefix stuck on everything service related & could’nt escape ATC regardless of volunteering for SEA or Guam, the old needs of the USAF story. On the advice of a sage E8 who had been in SAC most of his career, I bailed from the USAF & made a career in the telecommunications business .I have never regretted serving but always felt I was cheated out of flight line/operational experience while training others, including old timers who changed career fields to get the proficiency pay offered those over 4 years service in the USAF. I do consider myself privileged to be considered “an old crow” in the order of the raven….we made a difference whether the average person ever realizes it or not. Thanks again for the trip back to a time where we never took our lives or our freedom for granted & the Russians knew it…………AFSC 30153 I remain forever. Yep, worked on the ALR-20, ALR46- and ALQ-117 on the B-52’s. The shop had a screen room with the old ALT 6-B’s and ALT-28’s. I seem to remember a ton of leaking cooling oil that those jammers used. Worked on APR 25/26, 36,37 on the F-4 and A-7’s and the APS-109 for the F-105. Was backup for the AlQ-72, 87 and 119 jamming pods. The ALT 6B used DC-200 silicone based coolant/dielectric fluid at $28 a pint in 60’s dollars ,did a great job cooling magnetrons & as a dielectric for HV power supplies instead of pressurization at high altitude.The accepted leakage rate was 3 drops per hour per the T.O…..one of many useless facts I’ll carry to my grave ! the only use we ever found for it was on blackwall tires to stop the mud from sticking! The AFSC may have changed after I left, the 30 was electronics ,1 was airborne, the 53 was your specialty & pay grade. All the pod gear had pyrotechnic boards to destroy the sweep circuits if compromised or the disassembly order was incorrect…made for interesting times in the classroom! Yep, that was the stuff. It coated everything in the transmitter part of the shop. Those damn things were heavy. Seem to remember that they required some heavy lifting to get them onto the Buffs. I also remember in Thailand discovering these new things called Tie-wraps (the plastic cable ties we used to secure cable bundles on the F-4’s) The supplier was charging the government something like a dollar a tie. Also remember having to safety wire every connector on the rare times I got called out to the flight line. I didn’t envy the guys who worked the flightline at Wurtsmith when it was 20 below zero. Correction to the above post, the Dow Corning coolant was used in the ALT-13 in the HD-406 power supply/cooler for the BWO…….These senior moments are becoming more frequent! I must start working the NY Times crossword again b4 I become completely senile & incontinent. I used DC-200 as damping fluid in the variable venturi Weber? carbs in my MG midget I had way back when. Tie wraps – Late 70s a young troop noticed we were out of tie wraps so he decided to order some. Who can mess up ordering 100 tie wraps? So we got in 100 bags of 100 ea. tie wraps! The ALT-13 weighed around 150 lbs. When they added some more electronics to the ALT-13 and turned it into an ALQ-155 it went up to 200+ lbs. They designed a fancy hand cranked lift finally to help us loading the things. The gears in the fancy lifts were not hardened correctly and broke. Safety wire at 20 below was no big deal. It was those bloody waveguide screws that were a killer. A half turn max at a time using an allen wrench on those under the curve with no gloves. But then someone discovered something called a ball allen wrench. Greatest invention ever! I was also an EWO, during the crazy SAC years. I am thankful that guys like you were fixing my equipment. I remember one ORI when I fell asleep prior to the point when I was supposed to warmup my equipment. So, I turned on what I could and did the best I could with half the equipment working. I was sure I had done the worst job and caused the squadron to flunk the ORI. On the way back, I opened a few panels and switched the fuses, burning out half the fuses to the EW equipment on purpose. As I walked into the squadron, after the mission, I told the debrief-er that, “It was not my fault, half my equipment was not working.” I was then informed that I had the best scores of the whole squadron. The commander used me as an example for others to follow. Looking back on SAC and those years, there sure were a few absurd situations. In the maintenance department what you did was called “cockpit trouble” or an ID ten T error……………ID10T ! I’ll never forget the “Peace is our Profession” sign outside the base in Dr Strangeglove. Also the low level bombing run. To this day, nothing but pure rain water and grain alcohol for me. Purity of Essence, you know. SAC: Peace was our profession. War was just our ‘pastime’. Thanks for the description of what life was like at Wurtsmith (and all around SAC). When you were at Keesler, did they call you a “Trianguloid”? Nope. Never heard the term. I do believe you were referring to people from the triangle area on the West side of Keesler, near gate 7.As a student I was in the 3408th on main base behind the Andrews theater. We partied & drank at gate 2, Sooky’s , Johnny’s Offbeat & Franks Airmans news. Further down towards Howard Ave was the Burger Chef & Hugo’s Italian restaurant by the railroad tracks……bet ya never knew the signals were tripped by shorting an isolated section of track down from the approach to the crossarms that blocked traffic ?…..hope the statue of limitations has expired on that one…..blocking traffic into/out of a military installation seemed fair game to those of us resigned to the mutual destruction in a nuclear holocaust we were promised in the sixties. It’s really no wonder Woodstock & the other festivals were such a success after being raised with ‘duck & cover’ & the lie down next to the curb madness of the fifties……Steve understands the madness that pervaded our society where nuclear war was concerned. Sadly the only thing worse than an handful of NATO countries having nukes is anybody else having them. A real shame we cannot put that genie back in the bottle & lose it forever…. The only eating place at Keesler I remember was the awesome Muffuletta sandwich shop on Pass Road. When I was stationed at a B-52 base at Wurtsmith, I remember spending weekends in Ann Arbor staying up late listening to the jets overhead and wondering if they were Soviet. Full paranoia. Kind of an interesting world with Iran, North Korea, Pakistan and Israel all holding nukes. And biological warfare weapons as well. We’re still living in interesting times. Someone else will have to chime in on that. I worked on fighters in SEA and only saw my first BUF after I returned in ’73. From what I heard, the BUF’s configured to drop iron bombs were the “D-models” which I’ve been told had more modern ECM gear than the G and H models. Does anyone know if that was correct? Steve, keep in mind Keesler had a weather event called hurricane Camille in August of 1969 that destroyed or rearranged most of Biloxi & the old barracks/buildings on base. The initial storm surge was 24′ on the beach over Hwy 90 & most of the places I frequented from Ocean Springs to Gulfport washed away………..It was a new world when you got there in the seventies. It’s tough growing old with nothing left but memories…I never took the first picture while I was in the USAF. I was a B52-H EWO at Grand Forks from 1977 to 1981. Some of the equipment you mentioned was long gone by then, but the alt-6’s were still being used. 1980 was the dawn of the computer processor generated automatic jamming systems and by 1980 we had the very first satellite dish and the very beginning of a very rudimentary email system. I happened to be on the very first mission with the satellite system (in 1980) and had to guess how to use it. It was a one way system, with no way to know if anyone got the messages. Being an EWO in the B52 was really the worst position in the aircraft. We were only important when the aircraft was in combat. On a typical 16 hour mission, we worked for as much as 10 or 20 minutes. I got over 5000 hours in 4 years. That meant flying about 12 days a month, on alert about 18 days a month, and occasionally having a single day a month off. I finally left active duty, just to get away from B-52’s and then spent 15 years in the reserves, flying C-130’s. Thanks for the memories. Amazing how long the B-52’s have survived. I was a 328×3 EW specialist from 1973 to 1992, Keesler from Oct 73 to May 74, then B-52 H @ Grand Forks from 1974 to 1982, moving to Dyess AFB from 82-84 for D to H conversion, then 4 years at HQ SAC (Offutt) 84-88 in a special EW engineering unit, 1 year in Korea on the U2 (Skivvy Nine), and finally at DM in Tucson on A-10s. There was no better career field. Grand Forks was a love/hate relationship for me…I loved the mission, but hated the cold….burrrrrrrrrr. I helped start the association of old crows ‘frozen roost” with Maj Ginger as the head EWO. I have over 500 hours flight time in the B-52H as a maintenance guy – working out bugs on all the new “digital” systems like the ALR-46 and ALQ-117 (Phase 6) technologies. I was also a “pit” guy, and became an “expert” on the ALT-28/ALQ-155 jammer – all 200+pounds of it. Someone already mentioned the DC 200 which is where the “pit” came from. I worked hard to bring the EWs and the ECM mx folks together…tolerated, but proud of being called a maintenance PUKE. Played many hours of Pinochle and other card games while waiting for aircraft to land a night…hoping for CNDs (could not duplicate) malfunctions, or the awesome words “CODE 1” (no discrepancies). I owe my life success to my Air Force days and experiences that continue to this day, as an engineer supporting multiple test aspects on legacy and new aircraft, including the Eurofighter. I came in as the Thailand and Guam guys were starting to rotate back to the US after Nam. Our shop grew from 15 to 40 before I knew it. Many got out, facing new “short” tours even though we had re-enlistment bonuses. I got out in 77 after 4 and went to work for Northrop for 1 year—then found myself back at Grand Forks – with no doubt in my mind that I was meant to be in a job with a MISSION. I am extremely proud of the work we did as ECM maintainers…and everywhere you go, everyone knows that we were always “different”. Maybe it was the classified aspect of working in an open storage safe, with no windows and a cipher lock. But either way, with over 200 boxes and miles of wires on the BUFF, the work was always interesting, with new systems and mods being introduced continually. PACER THIS and PACER THAT…or SNOW TIME, GLOBAL SHIELD, BUSY PRAIRIE 1/2, BRIGHT STAR…All distant memories that come back quickly when stimulated by a group of “old crows” like you. Thanks for the info. Did the B-36 have a dedicated EWO? I was an ECM student at Keesler AFB in 1967, possibly I had you as an Instructor. From there I went to Plattsburg AFB in upstate NY on the Canadian border …. VERY cold working the flight line there. Then went TDY to Utapao Air Base for 6 months in 1969, worked mostly the flight line. Back to Plattsburg for a while and then 1 year PCS back to UT. Looking back, I had great training at Keesler and my home base. When I got out in 1971 was immediately hired by NY Telephone because of my Air Force training and experience. If you were my Instructor … THANKS! I never knew my father. He died when I was 2 years, 3 months. He had a motor accident in Albany, Ga. near Turner Air Force Base, where he was stationed and where I was born. He hit his head on the curb on the corner of Highland and Madison, 600 block. He went into a coma and died 3 days later. I went to visit that corner when I turned 50 and also the AFB. The people of Albany are wonderful and so helpful in my search those few days. However, I’ve come to know he would’ve died a year later in a atmospheric “perfect storm” over the mountains in Grantsville, MD. “Cold War Mission ended in tragedy for B-52 crew.” His description of the actual crash including traffic control radio logs, was graphic, yet necessary. It’s better my father died in a peaceful coma that in mountains of feet of snow that the rescuers had to search through. So to hear the story of an engineer that fixed those b-52s, I give my deepest thanks. I know they weren’t the perfect design and every flight was a possible last one. The controls you described gave me such an insight to what it must have been for him to sit in that position. Your reference to oscilloscopes made me smile, as I already knew what one was from his letters. He always wanted to be a pilot but his eyesight wasn’t good enough. Does he know that HE WAS the real pilot? I do. And so with your generous charity and speeches, it was a couple paragraphs of your pen that touched one woman and enriched her life forever. I know my dad better now. I may not have a real memory of him, but I know him better now. The EWO did not have any capability of steering the aircraft. The navigator and radar navigator downstairs could steer the aircraft either through the bomb nav system or by the compass when the autopilot was engaged (which typically would be by mistake if the copilot did not disengage the autopilot when the navigation team unslaved the compass when starting celestial navigation). It appears my sentence structure has confused you. The metaphor I was trying to (poorly) convey was that the EWO steered the plane through the hostile radio spectrum just as the pilot was trying to physically guide the plane. I understood the metaphor, but disagreed with it. Particularly when it involved significant aircraft operations, communications tended to be simple, clear, concise, and literal. I suppose I was overly cautious of the metaphor causing an inaccurate inference. alpena is approx. 58 miles north of wurtsmith afb on us 23…..Oscoda Michigan is where the sad base is located…alpena had a large airport and was a recovery location in event of a nuclear war if any bombers made it back. Thanks for the catch. Yep, it was Oscoda. I updated the post to reflect it. Just came upon this story and brought back memories. I worked the shop at Fairchild AFB, Washington from 78 – 80 and 82-83. Worked just about everything bit the ALT-28s. Those were Tom’s babies. I started in the shop on ALT-6Bs. They were a hydraulically tuned magnetron. The story mentioned using logic analyzers on the ALQ-117s, we never used a logic analyzer. I do recall one Superbowl Sunday, we were unhappy to be called in, so one of the guys went out to one of the BUFFs and powered up the comms jammer. If he couldn’t watch the game, no one would. I retired from the af in jan 75 the old alt-6b… I worked on the 6 the 6a the 6b and the alt-22 also worked on many many others including the an/apt-1….the apt5… and the apt9..apr9 apr14 and newer stuff I taught in ecm special training from 65 till 69…if it was in the ecm inventory during those years I probably worked on it or taught it…also so many pods I can’t remember them all from the QRC stuff till the ALQ series..can’t imagine what they have now…..jon bombard msgt ret. I worked ECM from 78 to 92. In 92, the AF offered retraining to E-6s in ECM and I went into computer programming. I started in ECM on buffs, working on the alt-6b, alt-16, alt-32, and alq-117. I also helped out on the alr-20 and the apr -46. Then I left SAC and went to work pods. I worked alq119s and alq-184s. 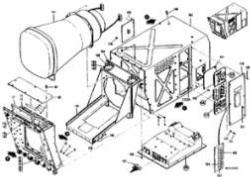 We were the first base to get the alq-184, we were the testers for Raytheon as they developed it. Good evening all – I have read this blog before but on re-reading it this evening I found much new material in reader’s comments. All very interesting, and some of the comments refreshed my memories of the gear on which I worked. The ALR-20 was a fascinating piece of gear, light years ahead of the APR-6, and was probably the most sophisticated crystal set I ever worked on. I volunteered for every training course that came along at Keesler, and soon I discovered I had passed a course that gave me an overseas qualification and off I went to Tan Son Nhut. In Viet Nam I met newer technology on the bench, including QRC pods, the APR-25, and a Navy box, the ALQ-51. Great learning opportunity the entire time, I would not swap my time in the military for anything. Good to hear all the stories and relive those times from 49 years ago. Oh, and by the way, I too served with “MSGT Virginia Towey” in the ECM shop at Barksdale in ’68. I was an ECM technician (328×3) from ’73-77 stationed at Loring AFB in Northern Maine (B-52Gs). Worked the flightline for ~1.5 yrs, then became a shop tech repairing the ALT-28s. Great memories, great people. Very cold. The experience formed a foundation that has carried me into Software Radio and Satellite (Software) Development for Naval Research Labs, NASA, and the Joint Program Office (JPO). But it is the electronic/RF baseline education provided by the USAF that has made it all possible. I was an ECM Tech, SGT-E4, 30155, 1967 to 1971. Worked on B52 D, F,G,H models. Did some work once on a strange model used to collect air samples, was told it was an E. I was at Keesler, Castle, Utapao, And Sawyer. Sawyer was the coldest place I have ever been. Used to go out to the back door bar, ski lodge on Hwy 553 and listen to a guy named Jay play a box guitar and sing all the old songs, every body would sing along and make a joyous noise that could be herd for a mile. Worked shop, and flight line. I used to feel like I was swimming in the DC200, and OS45 When a seal or a hose came unglued. I remember the Alt-6B and 22 seals were always blown, and the magnetic amplifier was always out of spec. The ALT 13 had that weird problem of no bandwidth, open it up and look for a broken ceramic cap. The ALR18 was a first attempt at automation jamming. I liked working on that one. First time I worked on a transistor circuit was a prototype box used as a look through for the Jammers at Utapao. seems they only had one type of transistor the 2N2222. and it was hand wired. with hand written schematics and basic ops theory. I could go on all day, Had some amazing times, and some really bad times. But it set the stage for every thing else I have been involved in. 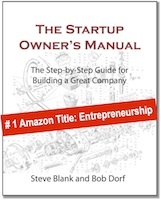 Did 30 years in the Silicon Valley working Start-ups. Just turned 71 and getting ready to retire from SLAC National Accelerator Laboratory. It has been a good run.